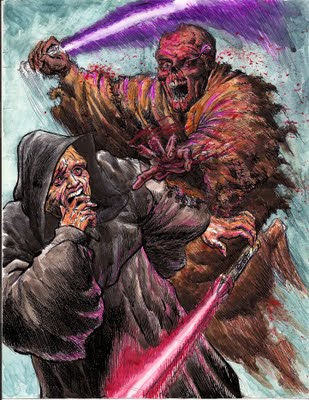 Zombie Mace Windu attacks the Emperor! He somehow recovered his hand! Hahaha, this is ink on paper, colored with watercolor and colored pencil.